Donald Lee “Donnie” Simpson, son of Fred and Karon (Long) Simpson, was born August 7, 1977. He departed this life Wednesday, November 21, 2018 in Montreal, Missouri, at the age of forty-one years, three months, and fourteen days. On May 5, 2012, Donnie was united in marriage to Jessica Deters. Donnie was preceded in death by his maternal grandfather, Donald “Jack” Long; his paternal grandfather, Fred Simpson, Sr.; and an uncle, Paul Long. He is survived by his wife Jessica, of the home; his children, Kyah Simpson and Dakota Deters; his parents, Fred and Karon Simpson, of Montreal, Missouri; his brother, Freddie Simpson and wife Jeniof Decaturville, Missouri; his maternal grandmother, Mattie Long, of Montreal, Missouri; paternal grandmother, Marquerite Simpson, of Earlham, Iowa; his nephews, Todd and Griffin Simpson; many special cousins, as well as a host of other relatives and many dear friends. Donnie was raised in the Montreal area and was a graduate of Camdenton High School in the Class of 1995. Donnie was a gifted athlete and lettered in football and basketball while playing for the Camdenton Lakers. Following his graduation, Donnie started his career at Camden County and was working for the Road and Bridge Department at the time of his passing. He had accepted Christ as his Savior at an early age and was baptized at Buffalo Prairie Baptist Church where he was also a member. 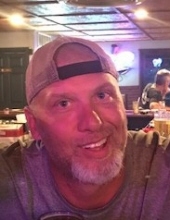 Donnie was a sports enthusiast and had spent many years coaching in the Camden County Youth Football League with Grant Leighty and Mike Maasen. He was a fan of the Camdenton Lakers and Kansas City Chiefs and rarely missed a game. He loved his family and cherished the time spent with his daughters. In his spare time, Donnie enjoyed being outdoors, hunting and camping. He also liked to fire up his smoker and cook for his family and friends. Donations may be made to a fund established for his children and left at the funeral home. Donnie’s family requests those in attendance please wear Laker or Chiefs Gear to help honor Donnie’s life. After the funeral there will be a reception held at the Knights of Columbus Hall, Camdenton. Arrangements are under the direction of the Allee-Holman-Howe Funeral Home of Camdenton. To send flowers or a remembrance gift to the family of Donald Lee "Donnie" Simpson, please visit our Tribute Store. "Email Address" would like to share the life celebration of Donald Lee "Donnie" Simpson. Click on the "link" to go to share a favorite memory or leave a condolence message for the family.